The idea of robbing a casino for millions of dollars for most will only ever be marvelous day-dream. Yet some individuals throughout history have been inspired to go beyond mere imagining in daring, elaborate plots to enrich themselves. 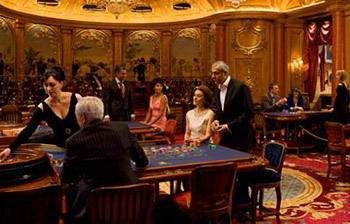 Let’s take a look at five of the biggest casino heists ever to be pulled off. We kick off with Anthony Carleo, or rather, The Biker Bandit. In December 2010, Mr. Carleo rode his bike up to the steps of the Bellagio hotel and boldly walked in wearing his motorcycle helmet, gun in hand. He made his way straight to the craps tables where he hastily cleared $1.5 million worth of casino chips and sped off before security knew what hit them. Unfortunately, due to tracking devices on the chips, Anthony couldn’t cash in his “hard-earned” stash and instead tried to sell them online. This proved to be his downfall as it was after emailing a photo of two $25,000 Bellagio chips signed “Biker Bandit” to an undercover cop pretending to be a potential buyer, that Carleo was brought to book and sentenced to spend up to 27 years in prison. Check out the security footage from the robbery below! In 2007, Soboba employee Rolando L. Ramos and accomplice Eric Alan Aguilera made off with just over $1.5 million in cash after a brazen heist claimed to have been inspired by the Ocean’s 11 film. In his position, Ramos was responsible for installing cameras and other security measures at the Las Vegas casino – a job that set him up nicely for the perfect casino robbery. On the day of the heist, the two simply walked into the casino, disabled staff by way of pepper spray and tying them up, and then stuffed their bags with cash before escaping in a getaway car. They were unable to hold onto their loot though, as casino staff managed to alert the police during the heist who then apprehended Ramos after a short high-speed chase into the desert. Aguilera, who initially got away, was arrested a few days later after the police found $500,000 of the stolen cash in his apartment. In 1993, 21-year old armored vehicle driver Heather Tallchief decided to drive away from Circus Circus casino with a van full of cash instead of taking it to the bank as she was supposed to. 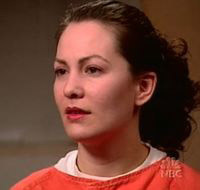 She fled the country with her boyfriend, Roberto Solis, and managed to stay hidden for more than a decade before succumbing to her guilt and handing herself over to the police in 2005. Solis still remains at large. What do you get when you pair a disgruntled casino staff member and a foreign high-roller? The answer is an attempted robbery to the tune of $32 million! That’s exactly what happened in 2013 at the Crown casino in Perth, Australia when two men teamed up for the biggest heist yet. 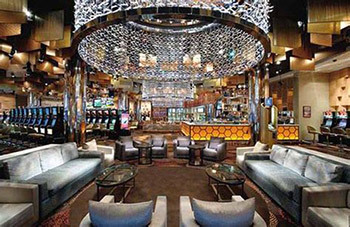 The duo’s modus operandi was simple: The casino employee would monitor security cameras at the card tables and feed the information back to a high roller visiting from outside the country. The idea was to take the wins and move the money as though it had been lost in regular play. Had they kept the amounts small the casino may not have noticed in time, but as human nature goes greed took over and the foreign player’s consistent luck during high-paying hands resulted in floor staff being alerted. The game was ceased and the Crown employee was dismissed on the spot after the robbery was discovered. Since no actual money left the casino premises, the foreign punter on the other hand was allowed to go home free from any legal penalty. This near disastrous event highlighted the vulnerability of casinos when it comes to security and has subsequently led to much stricter measures being implemented world-wide.